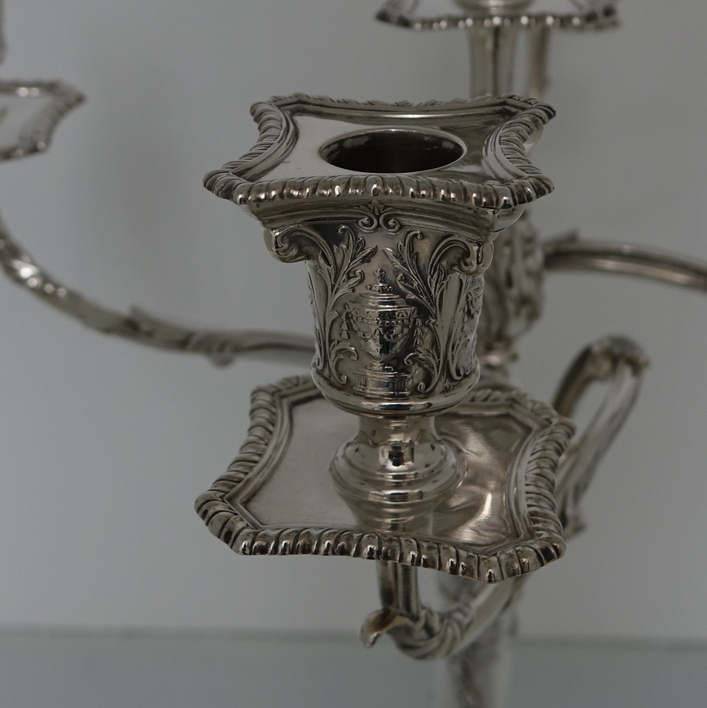 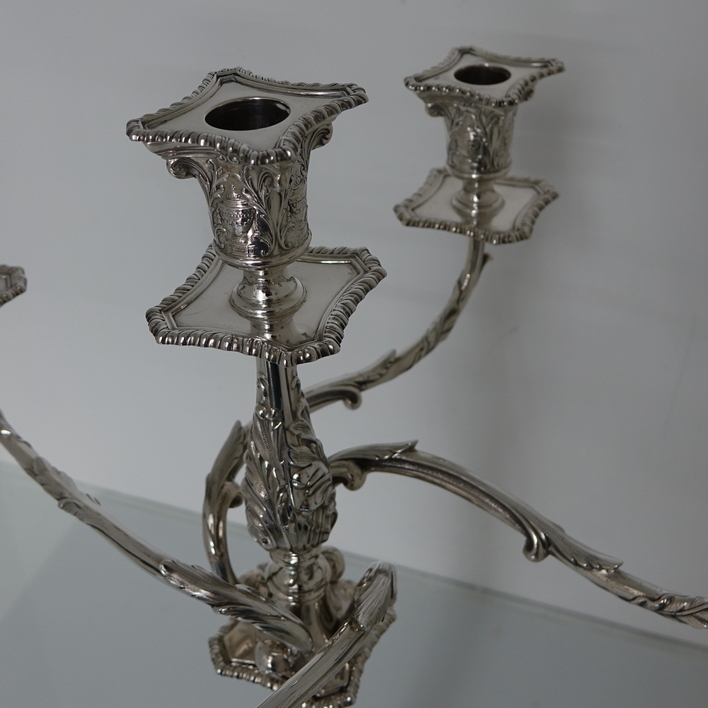 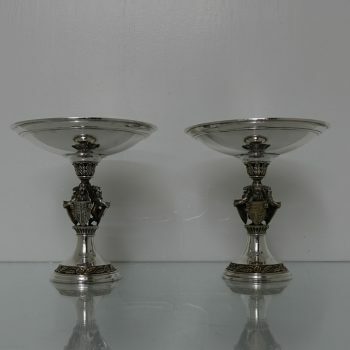 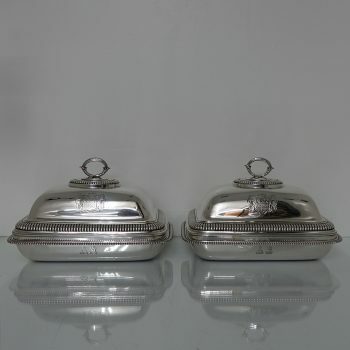 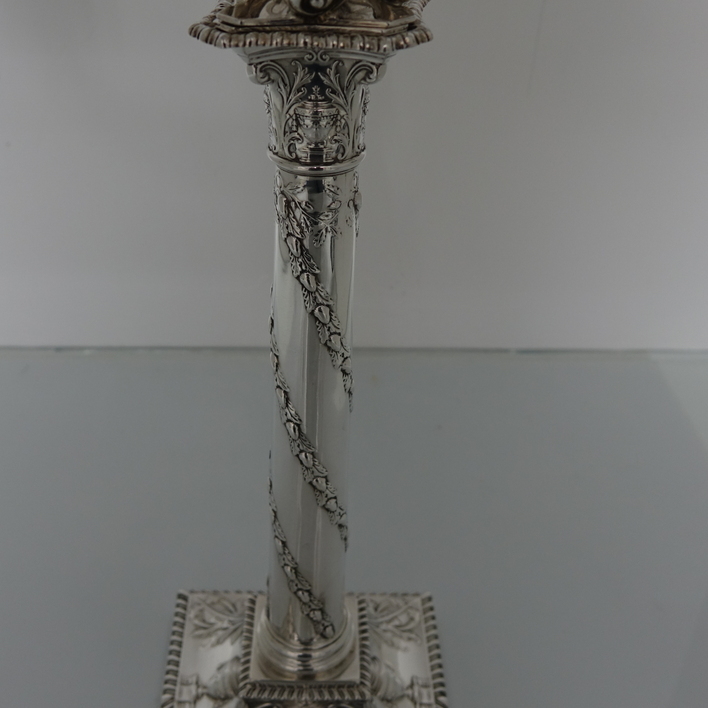 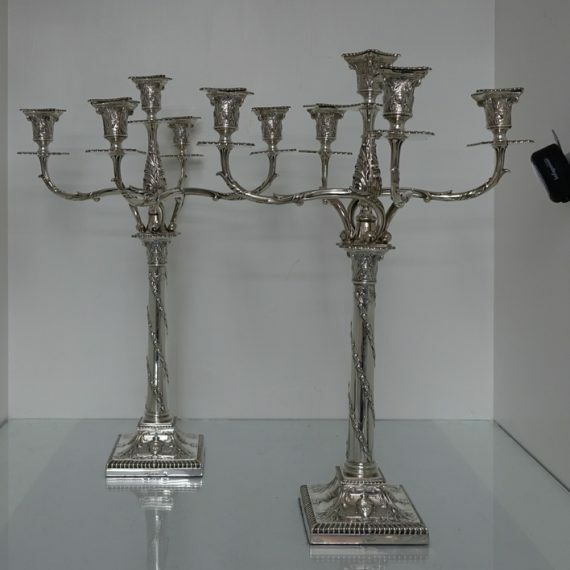 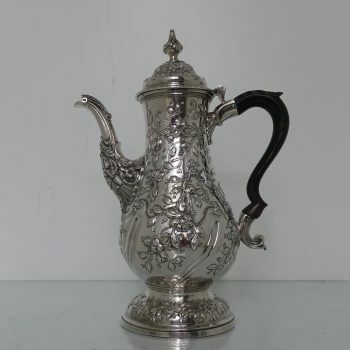 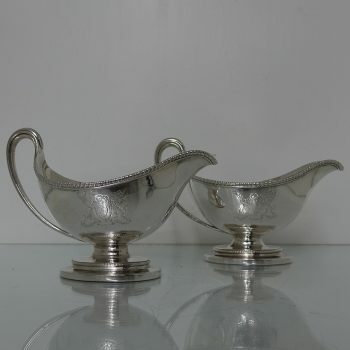 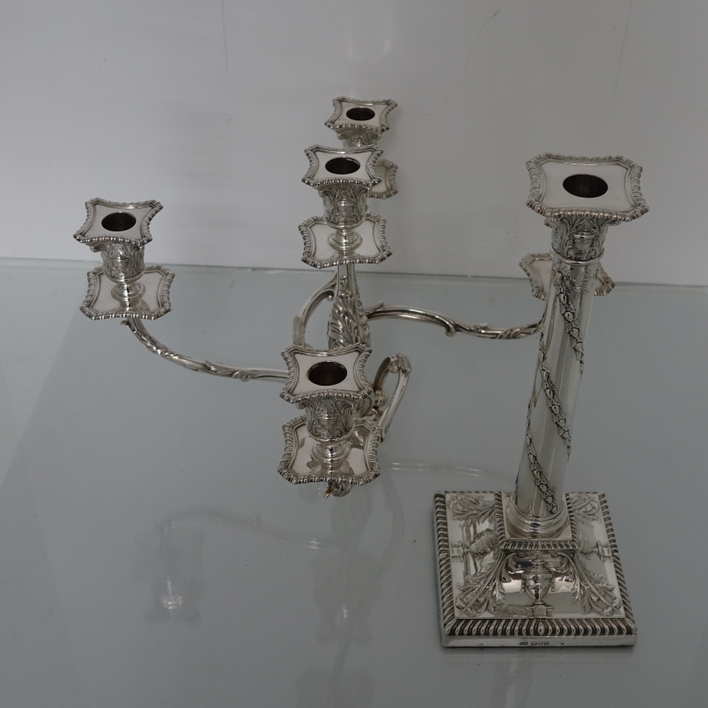 A very stylish pair of silver five light, square base candelabras with elegantly spread branches. A very stylish pair of silver five-light, square base candelabras with elegantly spread branches. 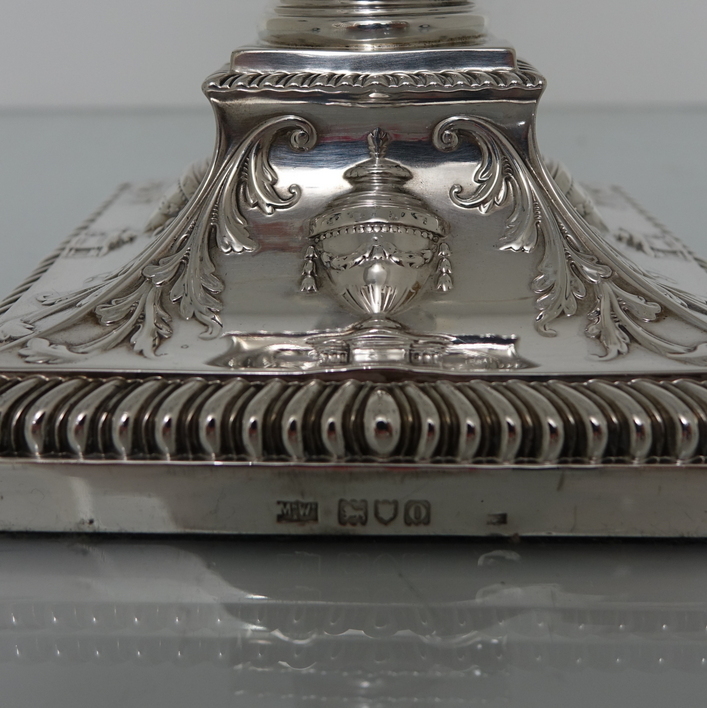 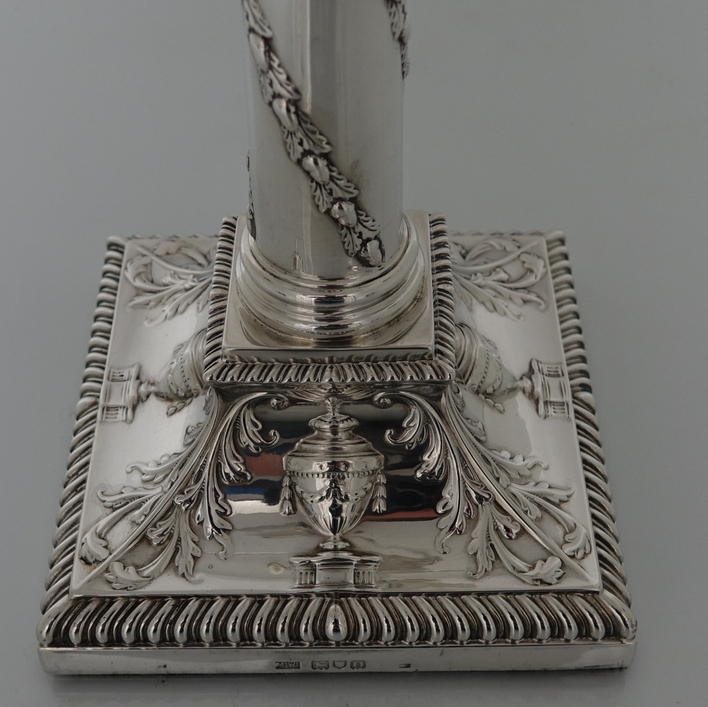 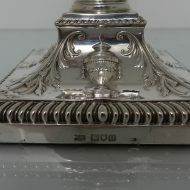 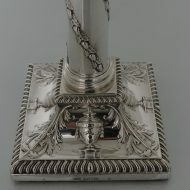 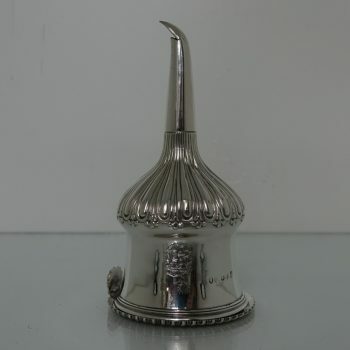 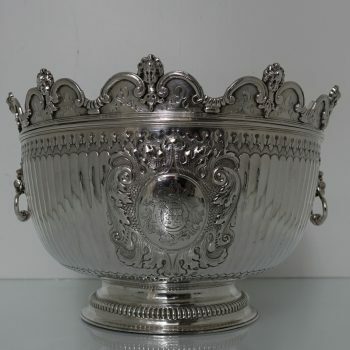 The bases and the capitals of the candelabra have urn and floral decoration and the base boasts a gadrooned border. The columns of the candelabra have spiralling floral decoration. 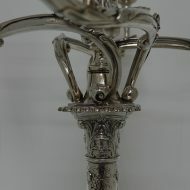 The five branches on each candelabra are ornate and the central column is decorated with foliage. 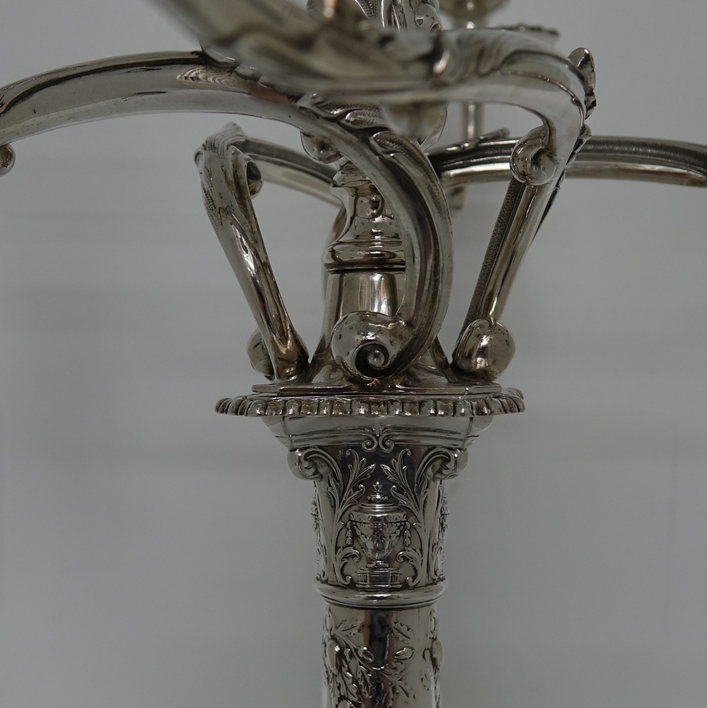 The nozzles and the drip pans have gadroon borders. 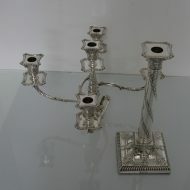 A stunningly beautifully crafted pair of candelabras.